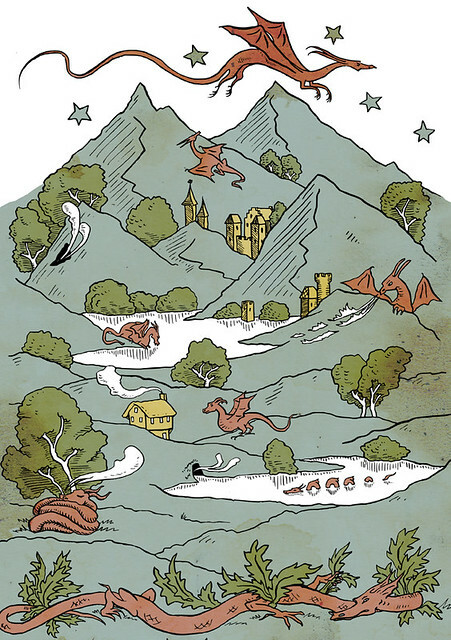 Everything is better with dragons. 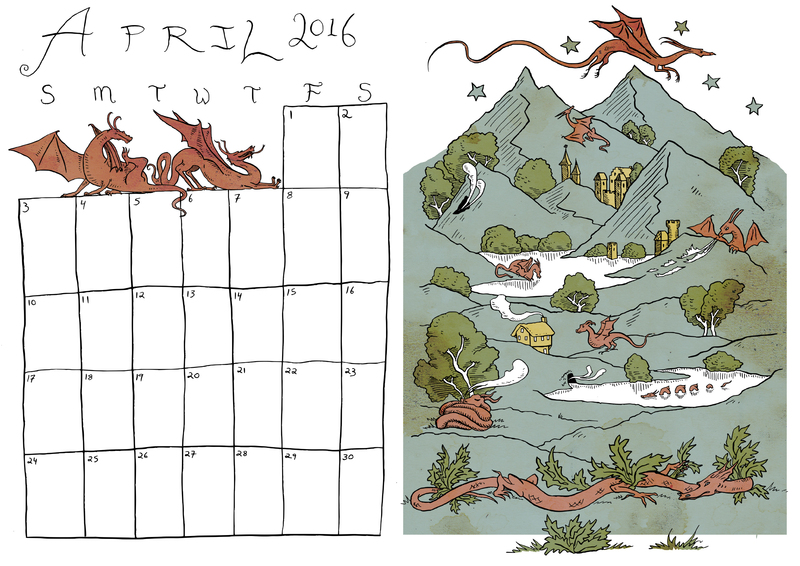 A bewildering variety of dragons for April’s calendar. The ones above are possibly my favourite of all my drawings. 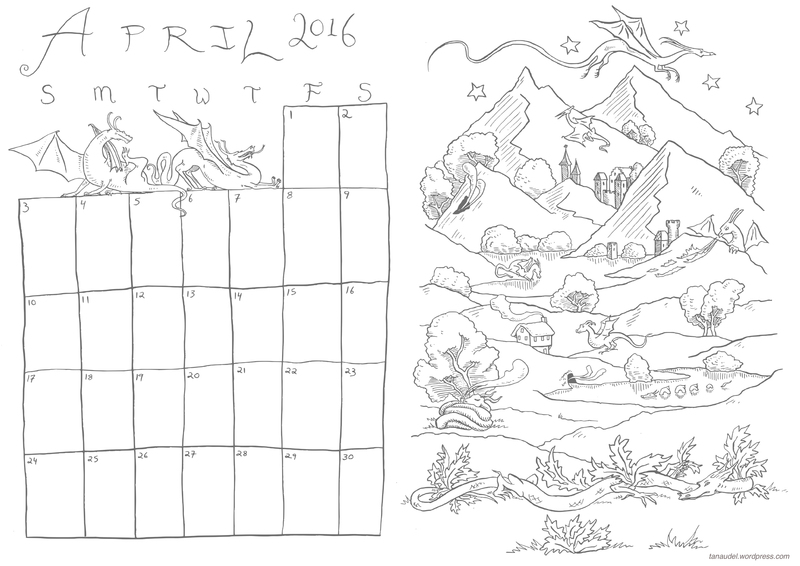 You can download and print it pre-coloured, or to colour it yourself. If you click on the images below, the full-size image should open. Thank you for your patience with monosyllabism. Am in the middle of a convention. The insatiably creative new animated film ‘April And The Extraordinary World’ imagines a world without science, and with robot-lizard-people. Zut alors!